As regular readers may have noticed I didn’t post much last week. 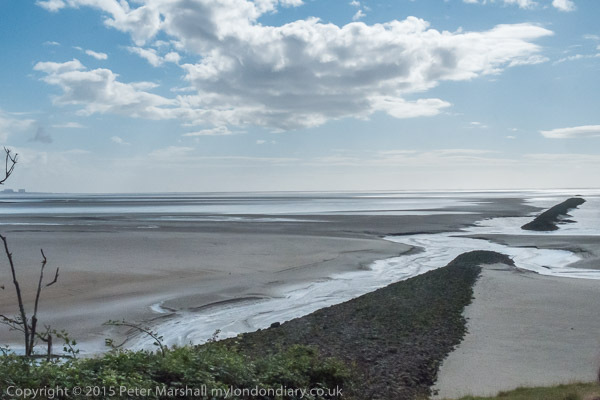 I was away from home staying together with a group of friends in a large house overlooking Morecambe Bay, and although I did take a notebook computer with me as well as a smartphone so I could check e-mail etc, neither is really comfortable for writing. Anything more than a dozen or so words on the virtual keyboard is a trial, and although my notebook has a half-decent keyboard, its smaller screen makes putting together pictures and text tedious. Coupled with a rather flaky WiFi signal at the residence posting would have been difficult. But I was in any case on holiday, getting very tired with a lot of walking and largely thinking about other things for a week, though of course I did take some pictures. 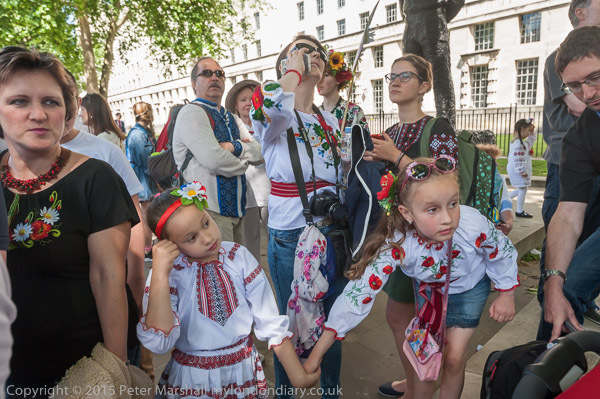 I’d not taken the Nikons – too heavy to carry around, but I did have a fairly useful kit, with the Fuji X-T1 and X-E1 bodies, 10-24mm, 18mm, 18-55mm Fuji lenses, the Samyang fisheye and a Leitz 90mm f2.8 short telephoto. Along of course with half a dozen batteries, the whole lot weighs around a third of my normal Nikon kit. Two batteries per camera body per day seems to be the absolute minimum for the Fuji cameras, even if you take few pictures. I was glad that I’d taken along my ExPro dual channel charger too, as those batteries are slow to charge. I still think there is some kind of power fault in my X-T1, though it’s been back for servicing at Fuji twice. Sometimes batteries seem to run down very quickly and the body gets rather warm. The only lens I didn’t use at all on the trip was the fisheye, though I wish I had. 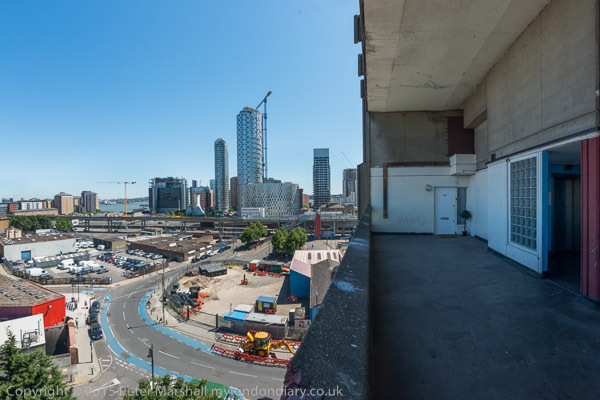 There were many truly panoramic views that it would have done justice to, where I used the rather less wide sweep of the 10mm end of the wide zoom. Nothing wrong with the pictures, but looking at some of them I feel a truly wide view might have been an improvement. I need to be in the right mood to use the fisheye, and somehow that didn’t happen. 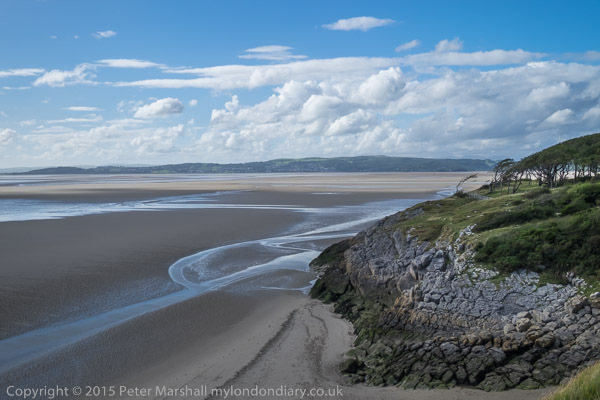 Perhaps its just that I’m not really a landscape photographer, and just didn’t get sufficiently involved with my subjects in the AONB (Area of Outstanding Natural Beauty) we were staying in and walking around, Arnside & Silverdale. 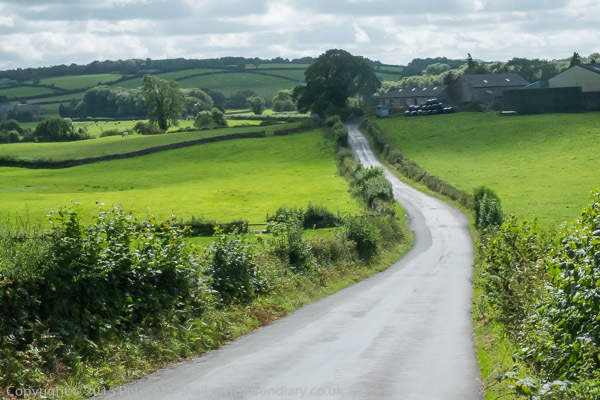 Or perhaps I was simply too exhausted; the web site says it has “almost 100km of well-maintained footpaths and narrow lanes and byways” and we seem to have walked along most of them at least once in our week there. Certainly we walked well over a 100km in the week, though there were some paths we took numerous times; my legs are still recovering. When I started using digital seriously at the end of 2002, working away from home for any length of time always involved the problem of how to store the images that you were producing. Then we worked with Compact Flash cards, and back then a 1Gb card was large, though if like me you worked with RAW images, still only large enough to store a few hundred compressed images. Since then, images have increased from 5 or 6 Mp to two or three times this size, 16 Mp on the Fuji X-T1, but 32 Gb cards now cost less than half the cost of much slower 1 Gb cards then. So now there is no need for portable hard-disk based storage devices like the ‘Image Tank‘ I had to use back then, with its slow copying from cards to tank every evening. I took with me two 32 Gb SDHC cards and several 16 Gb spare in case I should fill these. I take relatively few pictures when on holiday compared to working, and when I got home and sorted through eliminating the obviously worthless and some at least of the duplicates, the total for a week was just over a thousand images – 29Gb. I’m now slowly working through these, selecting the best and processing them to write them out from Lightroom. Processing images from Fuji cameras takes rather longer than from Nikon RAW files. Using the Nikon cameras – particularly the D700, D800E and D810 – working with automatic white balance (AWB) in most cases gives an excellent colour balance, but all my files from the Fuji cameras, also taken with AWB, are off balance. Yesterday I posted about this on a Fuji Facebook group and found other photographers have a similar problem. Their best advice seems to be to always work at a fixed colour temperature – such as 5000K – and then batch correct for images taken under the same lighting conditions using Lightroom. I poked around in the camera manuals and menus and found that under the Auto white balance setting there is a WB Shift option. (I think there is the same facility on the Nikons, but I’ve never needed to use it.) I’d assumed that the default 0,0 setting on this would always give correct AWB, but it turns out that this is not so. Soon I found myself facing a white wall and making a series of exposures with the X-T1 at different settings to find a proper white by adjusting the AWB setting, settling on R2, B-5. I just hope now that the same setting will actually give a true AWB under different lighting conditions. It’s a shame I hadn’t realised this before, though I think the X-T1 when I first used it gave better results with AWB and suspect it changed with one of the various firmware upgrades. I also found that the X-T1 enables you to measure and store three custom white balance settings by photographing a suitable white object, though it isn’t possible to alter the names of these from Custom 1, 2 and 3. The X-E1 has only one custom setting. You can also alter the built-in settings (Fine, Shade etc) to your taste, and also the Kelvin colour temperature settings. This seems a little odd; 5000K should mean 5000K, and perhaps it does, and the adjustment is simply intended to enable you to chose colour temperatures between those offered on the menu. I file all my images on the computer in folders by date of taking, which I find the easiest way to locate files. You can also set up virtual collections in Lightroom under various subjects or search on keywords to locate images on the same subject etc. The web site ‘My London Diary’ also acts as a useful index to my work, with its site search. It includes a representative selection of virtually all my digital work, with captions and other text allowing searching even if images are not key-worded. LR searches are fine, but are restricted to a single catalogue. LR can’t really cope with huge catalogues, and I have now decided to start a new one every year for my digital work. Working through the holiday images, I have the additional task of selecting them on metadata into groups taken with each camera. I work through these correcting colour balance – often being able to apply the same correction to a large batch of them and then perhaps a little minor fiddling on a few. Then I need to do the same to those taken with the other camera. It isn’t a huge problem, but it does add to the processing time. I also took a few jpegs. Not on purpose, but when without thinking I altered the ISO dial on the X-T1 to ISO 100 when I decided I needed the highest quality to enable some giant enlargements. It had the opposite effect, degrading the image quality from that at the base ISO of 200. Fuji do mark the setting on the dial as ‘L’ rather than 100 as a warning (and small symbols in the viewfinder do tell you that you have changed from RAW to jpeg) but it is surely a design flaw that Fuji allow users working on RAW to choose ISO settings that don’t give RAW images. It’s certainly a real pain both with the low and high ISO settings when it happens. With the low ISO setting I lost essential highlight detail, giving some odd effects in skies and a coarser feel to the images. Is there really any point in having an ‘L’ setting like this on any camera (and it isn’t just Fuji who do so?) Does it even produce better results for those using jpegs? Or is it just another of those stupid features driven by marketing people? Whatever, if you have told the camera you want to work in RAW it shouldn’t sneakily change to jpeg. We chose a good week to go away, with heavy rain and some local flooding at home. There was rain where we were staying, but almost all at night, and plenty of blue sky along with clouds during daytime as you can see from these pictures. 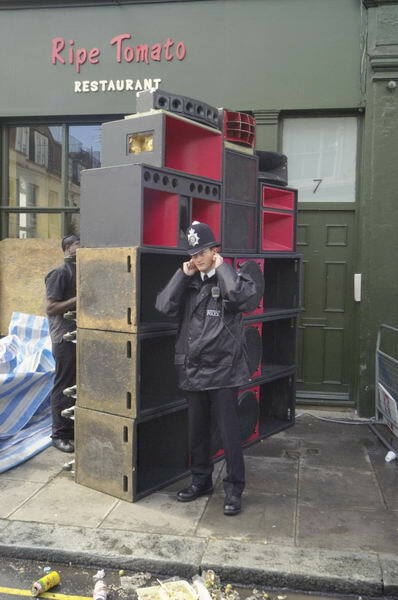 I won’t be going to Notting Hill for Carnival this year, and I feel I’m missing something. But at the moment I’ve a splitting headache, and just can’t get in the mood for dancing on the streets and taking photographs. 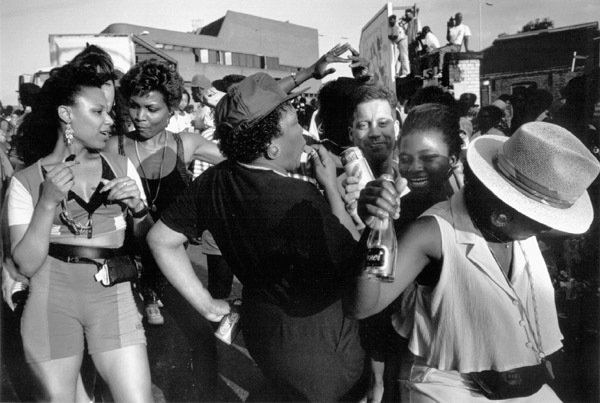 Carnival suffered from a lot of very negative publicity in the mass media in its early years, and still comes in for it at times. It was perhaps this that kept me away from it before the 1990s, when I went and discovered what a great event it was. For the next 20 or so years I went every Sunday and Monday to take pictures, except for 2005. That year I had injured my knee jumping down from the plinth in Trafalgar Square a couple of days earlier and was finding it difficult to walk. My doctor had examined it, and it was one occasion I felt rather let down by the NHS, as he advised me it would probably be six months before I could get the phyisotherapy it needed, by which time it would almost certainly have got better anyway, and suggested if I could afford it that I go for private treatment at a local sports centre where staff were used to handling knee injuries. As someone resolutely opposed to private medical practice I decided to grimace and bear it. 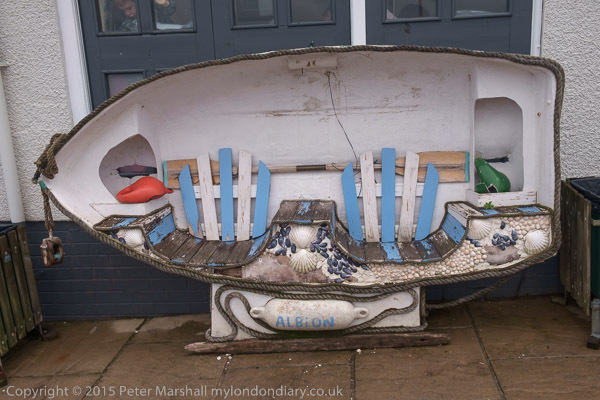 I packed a small bag – water bottle, Minolta CLE* with 28mm, films, Minolta 40mm lens – emptied my valuables from my pocket except for a few notes and coins and set out for the station, about a quarter of a mile away, determined to get to Notting Hill. When I collapsed in agony going over the footbridge to the station I finally realised it was no use and abandoned the project, crawling back up the steps, hobbling along the road clinging to fences home. It was a few weeks before I could walk without pain, but I kept true to Nye Bevan. Since then there has been the odd year when I’ve been away from London on the last Monday of August, but otherwise I’ve been to Carnival on at least one of the two days. I missed it in 2013 as I was up in Yorkshire, and then last year I was planning to go on the Monday, but decided to stay at home with my family. 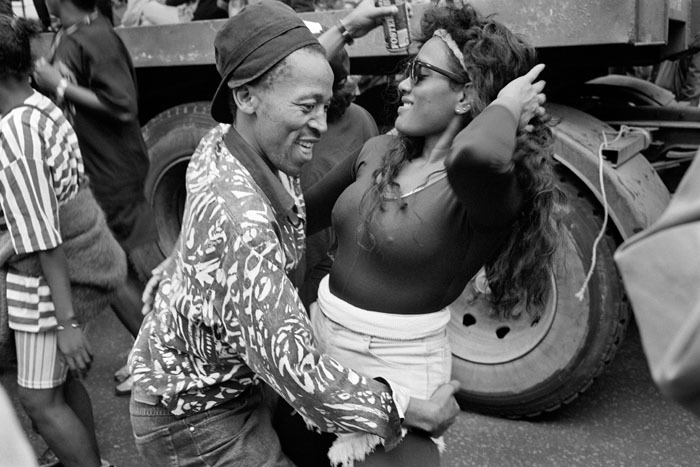 I’ve photographed over 20 years of Carnival, and perhaps feel there is nothing new for me to say about it. If it was a very short journey, I’d certainly call in for a bit and enjoy the atmosphere, maybe even take a few pictures. It isn’t a major expedition, though the sheer numbers attending sometimes makes travel something of a problem, but enough to put me off. Perhaps too, its because I’m getting older and have come to dislike the crowds and extreme volume, sound which at times vibrates the road surface and your internal organs and often left me part-deafened for several days afterwards. But it is still an attraction, at least in theory. 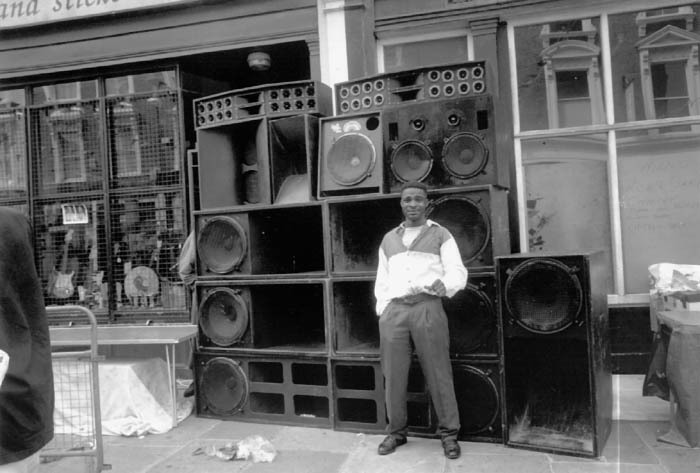 If you’ve never danced arm in arm drinking Red Stripe down Ladbroke Grove in a vast crowd behind a sound system you’ve never lived in London. *The Minolta CLE, arguably the best Leica that Leica never made. And the 28mm f2.8 possibly the best ever lens for street photography, when new knocking spots off the Leica equivalent. Unfortunately over time these developed their own spots on interior glass surfaces, making them unusable and uneconomic to clean. On Facebook today, Rina Sherman whose Ovahimba Years project I wrote about recently posted a link to a film made by Henri Cartier-Bresson, ‘Le Retour‘ (1946) which you can watch in full on YouTube. In the film, about the return of French prisoners from the Nazi concentration camps at the end of the war, H C-B is credited only as technical consultant, but he was also the director, script-writer, as well as the editor and cameraman for much of the footage, working along with others from the US Army Signal Corps and with Claude Renoir also for the cinematography which includes some earlier wartime material by the US Signal Corps. It is a remarkable documentary, and you will recognise at least one scene in it from one of Cartier-Bresson’s best known still images, and there are other scenes that reminded me of some of his framing. Cartier-Bresson was working for a French Army film and photography unit when taken prisoner in 1940. He managed to escape at his third attempt in 1943, and this and his work then for the Mouvement national des prisonniers de guerre et déportés, part of the French resistance, experiences which made him an ideal director of Le Retour. The film deals with both the return of captured French soldiers and of civilians deported by the Nazis for political or racial reasons and has been criticised for failing to distinguish between these two very different groups who had been very differently treated. In this it was following the French government line of the time, and it concentrates on recording the human experiences of those held captive and their liberation and reunion with families and friends. The simplicity of the camera work and a minimal commentary combine to make it a powerful statement. If, like me, you find the French at times difficult to follow, you may prefer to watch a version with English subtitles, though these are perhaps a little distracting. There is also a shorter US version made from the material under the title ‘The Reunion’. I’ve written before about ‘The Line’. Back in February 2014, when the idea was part of a crowd-funding project I wrote Marking the Meridian – The Line, which looked at my own work on the Meridian in the 1990s and my unsuccessful bid to get a walk established as a Millennium project, which failed even to be short-listed. It was a fairly obvious proposal and others had similar ideas, and a few of these did get some kind of local support, with more markers appearing along the line. 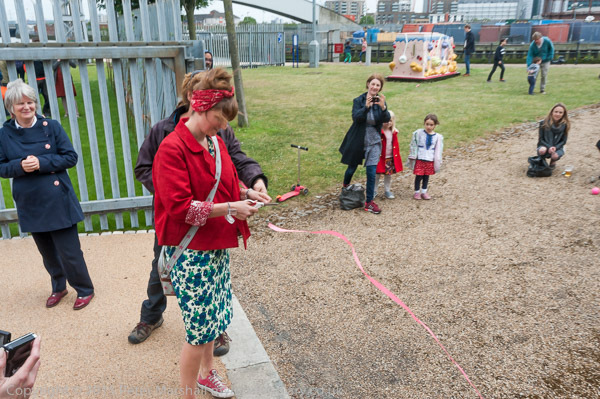 The Line was finally opened in May 2015, though on a rather smaller scale than the up to 30 sculptures in the original plan, and I was at Cody Dock on 23 May to witness the ribbon being cut and to photograph a couple of the sculptures. It was a busy day for me and I didn’t have time to walk the whole of the line, but you can see more at Cody Dock Opening for ‘The Line’. I still haven’t found an occasion to walk the whole of The Line – though you can’t actually walk it all but need to take the ‘dangleway’ across the Thames from North Greenwich to Royal Victoria Dock, and then the DLR to Star Lane. The web site is rather confusing, and I’ve yet to find the link which is supposed to give a print version which might be rather easier to understand. 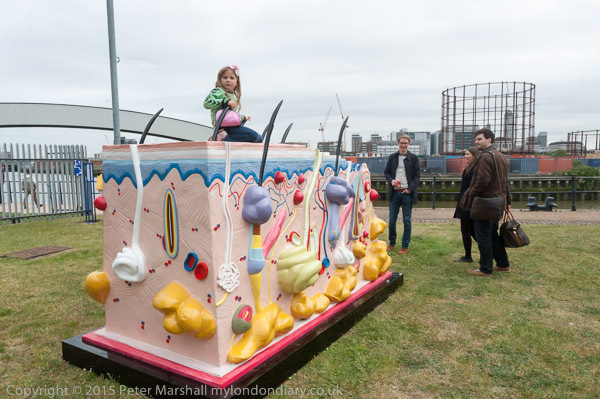 There are as yet two sculptures I’ve failed to locate, and the House Mill at Three Mills which is supposedly open daily from 11am-4pm was closed on the day I tried. But the walk – or the bits you can walk – is perhaps more interesting than some of the sculptures. Some of it was there before the line – including I think all of the works at North Greenwich – and I’ve visited and photographed them on previous occasions. The cable car across the river should be one of London’s major tourist attractions, but is thankfully still uncrowded, and doesn’t cost a huge amount – with a reduction for travel card holders. It’s worth deviating at the Royal Victoria Dock to cross the high level bridge – and you can then walk back along the other side. 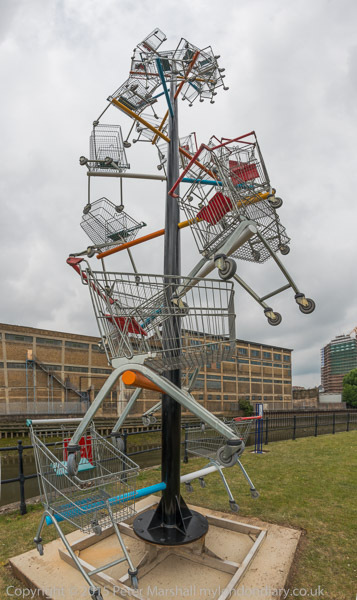 The walk by Bow Creek from Cody Dock has its fascinations – and to my mind the most fitting of sculptures. 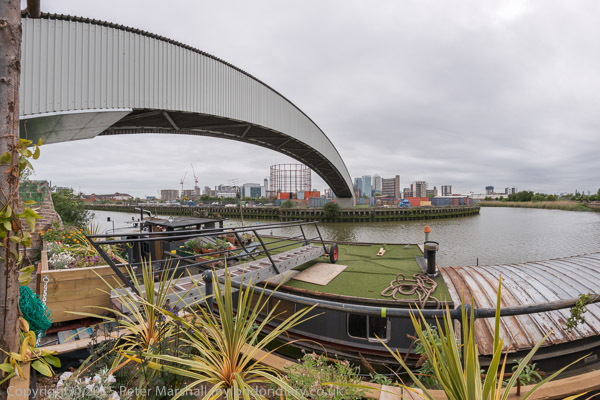 I’m not quite sure how The Line is meant to go at Twelvetrees Crescent, but I like the path over the Bow Locks, although not the detour needed to access it, with a building site probably illegally blocking the path from the Tunnel Northern Approach. Three Mills is always worth a visit too. There are actually more sculptures, both found and official along or close to The Line but not a part of it. I expect someone will provide a suitably annotated and illustrated walk before long, though I’ve yet to see one. See The Line – Sculpture Trail for some more pictures. 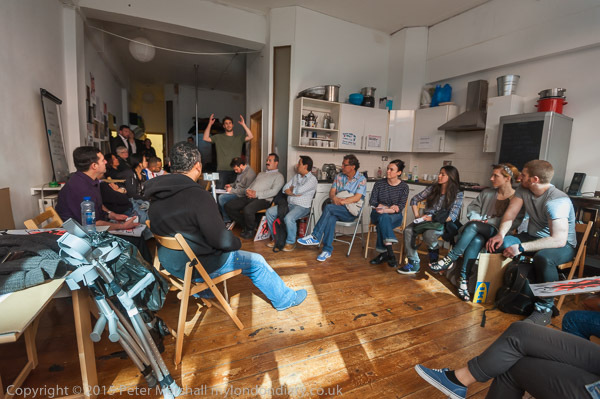 I don’t often use images taken with a fisheye lens without a partial ‘de-fishing’, but this is one case where I think it works. You can see some curvature in the image, but it isn’t excessive and I think helps draw the eye in towards the centre of the image. Had that clock tower been further off centre its curve would have been more disturbing, and the same is true for the lamp post at the left. The clouds wrap around rather nicely and even the people close to the edge seem rather less distorted than is often the case. When I took it I was probably thinking that the figure a bottom left would move more into the corner and I would perhaps lose all or most of the two photographers cut off by the edge, as well as most of the empty space behind the white t-shirt at the right. Most people who haven’t used fish-eye lenses think of rectilinear perspective as being somehow natural. It’s how we ‘see’ things, constructing images in our mind in which lines we know to be straight are straight. But it doesn’t work with making images with a very wide angle of view. The image above shows the result using the ‘distortion’ slider in Lightroom at 100%. It crops the image a little at both left and right edges, and while it does straighten the lines, it makes their divergence much more apparent. That Canon lens at the left has roughly doubled in length and the head at bottom right is a rather more curious shape. What you can’t see in this small reproduction is the softness towards the corners where there just are not enough pixels to be stretched out like this. To be usable this image would need fairly drastic cropping. If you must have a rectilinear view, stick to a rectilinear lens and avoid really extreme focal lengths. 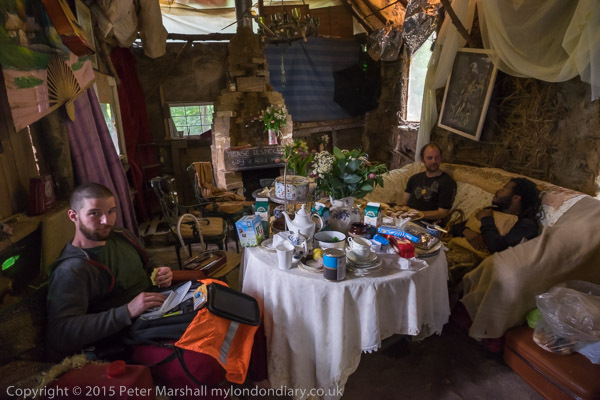 I have a 12-24mm full-frame Sigma lens, and anything below around 16mm I find seldom makes a usable image. It’s a better lens on DX, where the full zoom range can be used. A 16mm rectilinear image on full frame has a horizontal view of around 97 degrees, while the 16mm Nikon fisheye gives around half as much again, roughly 146 degrees. The best we can do is to keep some straight lines straight, though we can also at the same time improve on the way that rectilinear perspective renders shapes across the frame, stretching them as they get away from the centre of the image. The image above is the result of using the Fisheye-Hemi plugin for Photoshop, which is my normal ‘de-fishing’ tool. There are other things out there that do the same job, but the plugin is the most convenient I’ve found. It retains the image across the full width and height at the centre of the sides while losing some at the four corners, producing what I think is called a cylindrical perspective, like the rotating lens panoramic cameras I’ve also used. As you can see, it also shows up the diverging verticals that result from my pointing the camera slightly down when making the image. But it does avoid the stretching at the corners and the softness which made the conversion to rectilinear a problem. However I find that divergence annoying – and I didn’t see it in my viewfinder when I made the image. So I’d probably want to use Lightroom to remove at least most of this. Doing so means cropping the image (there is still a small amount of divergence, but not enough to be a nuisance. It’s a usable alternative to the top image, but I still prefer that; the figure standing on the middle of the banner is a little more prominent, and for me at least seems more to be floating, almost as if she is being tossed up by those holding the banner. I don’t know what Reuters and those other upholders of the unaltered image would think of all this. Would images whose perspective had been altered in the ways shown here still be accepted for World Press Photo? And I don’t greatly care. The uppermost image is what I saw in the viewfinder when I made the picture, but I think the bottom image is also a perfectly good record of the scene and my view of it. Probably a truer record of what I saw out of my left eye when I had the viewfinder pressed to the right. 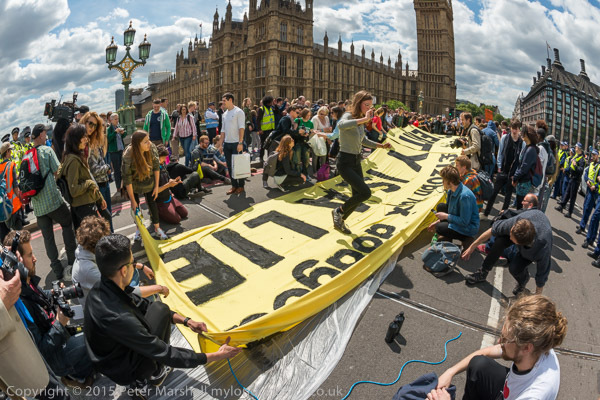 The protest was to point out to Parliament that collecting taxes which are being avoided would bring in enough money to make cuts in public services unnecessary. 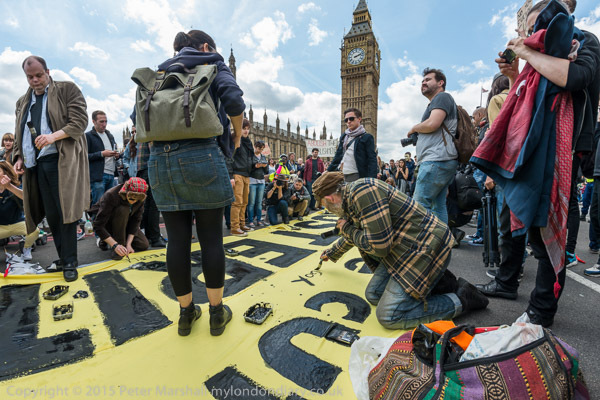 You can see more pictures from it, including others taken with the 16mm Nikon fisheye as well as the 16-35mm rectilinear zoom and longer lenses at UK Uncut Art Protest. Without doubt the greatest opportunity for the planning of London in the last century came from the destruction of large areas of the city during the war, and one of the areas where the results are most obvious is the Barbican. It provided an opportunity to develop new approaches with pedestrian walkways high above the city streets separated from their traffic, and put homes back into the city. It wasn’t an entirely successful experiment, although the recent demolition of parts of the ‘highwalk’ is I think a great loss for the city (and doubtless huge profits for the developers) and while many have found the Barbican an exciting place to live prices now for its over 2,000 properties and those on the adjoining and perhaps rather nicer Golden Lane Estate are pretty astronomical. For non-residents, finding the way around the Barbican has always presented something of a challenge, with yellow lines needed to guide people to the Barbican Arts centre from the surrounding Underground stations. Inside the Arts centre too, I’ve always found the layout totally confusing, though over the years I’ve learnt easy routes to find my way to the places I’ve used, including the main art gallery and the Library, in which I’ve organised and taken part in several group shows over the years. 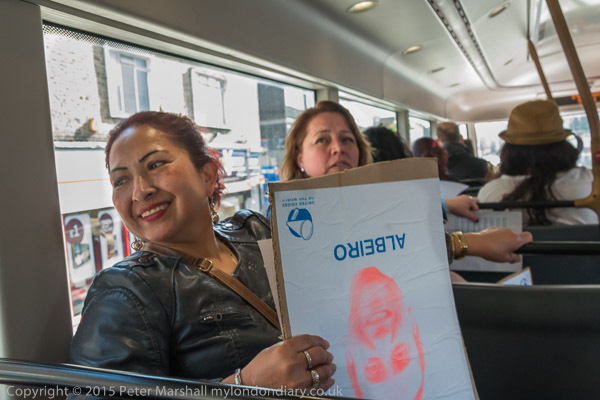 But on May 16th I had no problems in finding my way, simply having to follow the crowd of cleaners and supporters as the United Voices of the World rushed in to hold a protest inside the building. 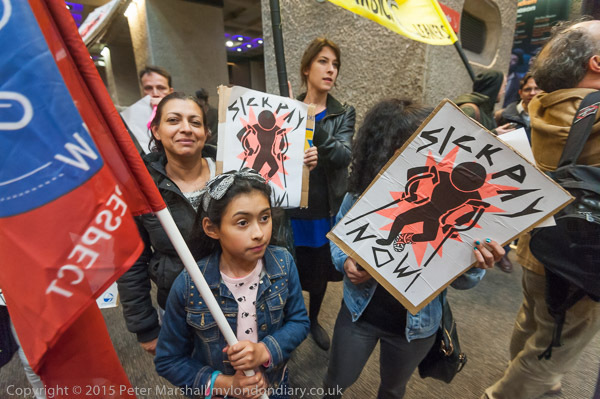 The UVW are a grass roots union that is standing up for the rights of some of London’s lowest paid and worst treated workers, particularly cleaners who are employed by contracting firms to clean inside London’s many prestige buildings, including the Barbican Arts Centre, owned by the City of London. The only reason for outsourcing services like cleaning is to cut costs, and the only way that the outsourcing companies cut costs compared to direct employment is by employing workers on conditions that would be unacceptable to companies and organisations that are concerned about their public profile. 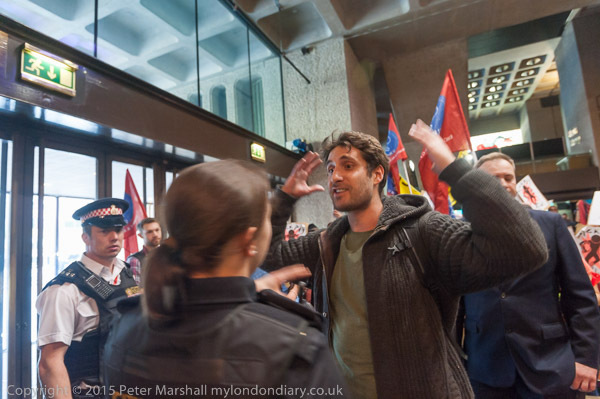 The Barbican Arts Centre would feel it had to pay at least the London living Wage, provide proper pension arrangements, sick pay and holiday pay, as well as managing its employees properly, providing proper equipment and materials to do the job and not imposing excessive workloads. I’ve never worked for them, but I imagine that they aim to be a responsible and highly respectable employer. 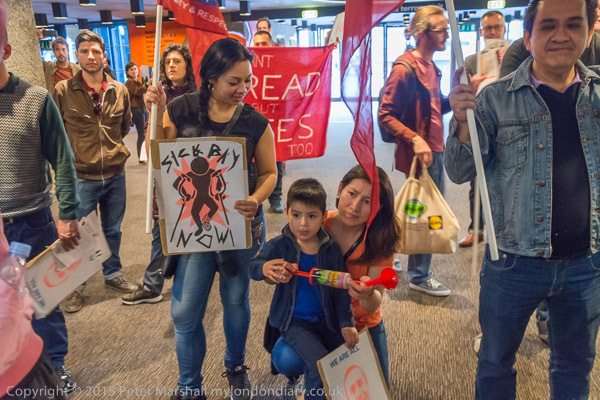 Cleaners at the Barbican Centre employed by MITIE have been threatend with sacking if they protest for a living wage and proper sick pay. They say a disabled worker has been assaulted by a manager and that he was accused of terrorism for posting a video of himself at work. 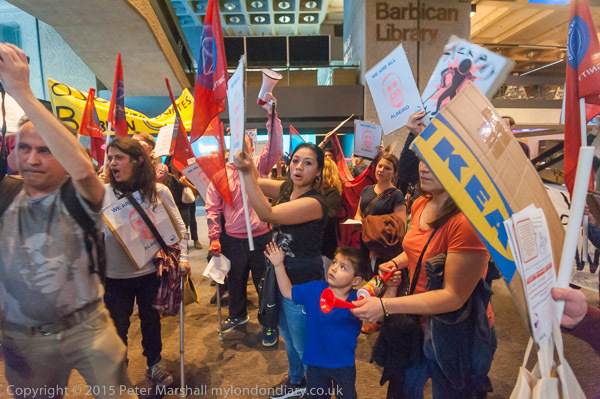 This protest was unannounced, and the cleaners and supporters met up well away from the Barbican. I met with most of them at a union meeting beforehand. 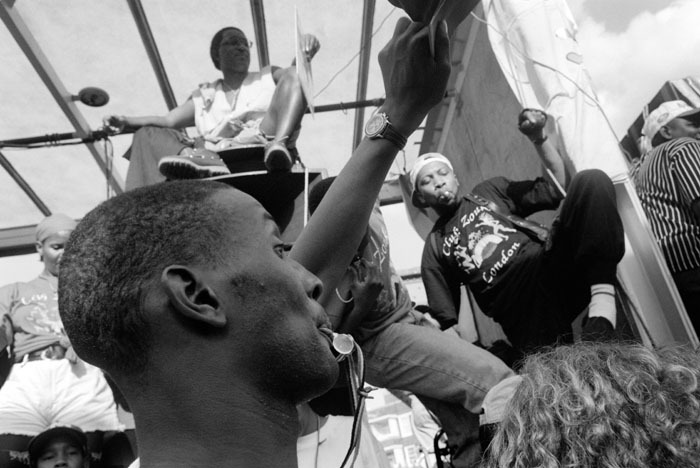 UVW is a small and entirely voluntary movement with no paid officials, and as well as negotiations and protests at workplaces also provides representation and support for its members at tribunals and disciplinary hearings, and classes in English, as many of its members are from Latin America or Spain. I travelled with them on the bus, then walked with them to a rendezvous with other supporters before they marched quietly to the Barbican, regrouping on a corner close to the main entrance, which they then rushed through at a suitable moment, with me following a short distance behind the leaders, making their way noisily through the building to a suitable area for the protest. As usual with such incursions, I’m careful to avoid confrontation with security, who made some attempt to stop the first few people who entered, but then had simply to stand back and watch as the rest streamed in following them. Theoretically I would stop taking pictures and leave if requested by a suitably authorised person, unless I felt there was an overwhelming public interest in the events being recorded, when I would attempt to do so. I would have felt so in this case, but it’s better not to have to make such a decision. Photographically the main problem in taking pictures was the light. Rather the lack of it, and its unevenness. The centre always reminds me of a cave, and it has lots of fairly small lights in a very large space. I didn’t want to use flash. Partly because I didn’t want to attract attention to myself, and experience tells me that security are far more likely to tell you to stop taking pictures if you use flash, but also because it’s difficult when working close to avoid huge differences in lighting between people very close and those a few feet further away. But the light was pretty low in some areas, and when people were moving a lot there was really little alternative. But I think the picture I liked best was taken without, working at ISO 3200. I was also working at ISO 3200 with flash, but with the aperture a couple of stops down (and sometimes about a stop faster shutter speed too) trying to retain a more even result with some exposure from the ambient light. As a consequence there is some double-imaging on these frames, which often but not always enhances the image – it adds a feeling of movement and immediacy to the speaker above. Colour temperature is also sometimes an issue. Later the protesters moved to an area with both artificial light and large windows letting in some daylight. Using flash might have helped in the lower image, but unfortunately the D700 which I was using seems now to be very unreliable with flash and I’ve been avoiding using it. All the flash pictures I’ve made for some time have been with the D800E. Shortly after the protesters left the building and continued to protest, marching around a little of the Barbican estate and then continuing outside the main entrance, which enabled me to take some pictures including the Barbican signage, including one of Albeiro, the cleaner being victimised and UVW general secretary Petros Elia, the man with his hands up in the image above. 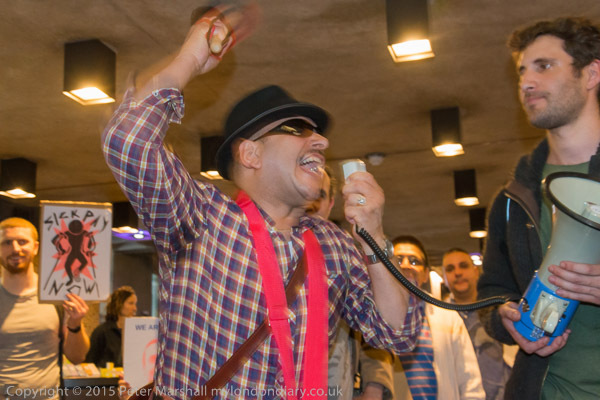 Many more pictures and more about the protest at Cleaners invade Barbican Centre. Amusing perhaps, but is it true? Firstly, obviously not. No one ever got 6 awesome exposures on a 120 roll, certainly not consistently. If you were lucky you got one or two that would do the job (and using 6×7 as I mainly did you only got 10 exposures and with 6×9 even fewer. Not to mention my panoramic camera that took 6×12 images.) ‘Awesome’ was very rare then as now. And moving on to 35mm, if Henri Cartier-Bresson could only manage a dozen a year, us lesser mortals certainly weren’t hitting one in six. Of course it does depend on your subject matter. The types of thing you take and where you are. There is certainly rather more likelihood of an awesome image if you are standing on the moon with a Hasselblad than if you are in my back yard with a digital point and shoot. Or a Hasselblad. I spend a lot of time at the moment going through stuff I took in the 1980s on film, mainly 35mm, though also some 120 and 4×5. Most of the pictures that are worth preserving are so because of the subject matter, and I often find myself cursing that I only took one or two frames of a particular subject. Cursing too because looking at what I did take brings back to memory things or situations I failed to photograph. Film then for me was expensive – even though I mainly bought it in 100ft reels and then loaded it in total darkness – 100ft would give me 19 cassettes with 36 exposures. I’d started using a bulk film loader which was more comfortable but meant that the last few frames of every film were fogged. You lost images by working to the very end of the film – and like fishing the ones that got away were always the best. Loading in total darkness – two nails on the wall to mark the length to cut – enabled me to get the most from that bulk film. Later I got a little wealthier and could afford to take more pictures, and even eventually could give up bulk loading. And I learnt from looking at the contacts of a well-known Magnum photographer who showed me how he usually only took two or three images on a 36x film, working with each subject until he was sure he had got what he wanted – or until the situation dissolved. He taught me that working around a subject in this way was something that made professional work stand out from amateur efforts. I began to use more film too, some days perhaps ten or a dozen cassettes. And my work I think improved for it. I certainly make more exposures with digital than I used to with film. It’s a great relief too never to have to worry about running out of film and being caught in mid-change when the vital moment occurs. I think Winogrand when asked if he ever missed pictures while changing film said there were no pictures when he was changing film, which may be true at several levels, but I know I’ve missed opportunities. Now if I ever run out of space on a card it’s either because I forgot to format it after the previous day’s work or I need to go and buy a larger card. I also take a rather higher proportion of usable pictures. But the number of ‘awesome’ exposures I make hasn’t I think changed very much, though perhaps there is some slight improvement. It really isn’t anything to do with the camera or storage medium but about opportunities and ideas. And if anything digital gives me a rather better chance of turning those ideas into images. After Rina Sherman was exiled from her native South Africa in 1984 she settled in Paris, acting in independent theatre and working in television. She studied at the Sorbonne under the celebrated ethnographer and film-maker Jean Rouch, completing her doctorate with distinction in 1990. Like Rouch she is a writer, filmmaker and ethnographer and in 1997 was awarded a Lavoisier Research Bursary by the French Ministry of Foreign Affairs which enabled her to live for seven years with an Omuhimba community in Namibia and Angola, filming and photographing their every day and ritual lives. In 2014 she donated her multimedia Ovahimba archive to the French National Library, where there will be an exhibition of the work from 29 Sept 2015 to 15 Nov 2015. 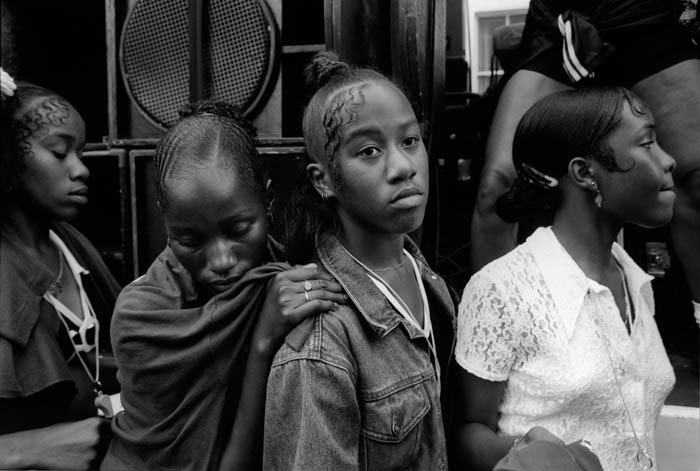 You can see some photographs and films from this project on her web site, where there is also a link to a crowd-funding project to publish a book of some of her photographs, The Ovahimba Years – Rina Sherman. As rewards for contributing you are offered your choice of archival inkjet prints from three galleries of work, in sizes from A5 to A2 depending on your contribution – the smallest print goes for a mere $25 plus shipping, with $1200 getting you three A2 prints, all unframed. If the project fails to reach the goal of $17,800 USD needed for a high quality photographic publication you will still receive the prints and the monies contributed will be used to cover some of the publication costs of a text only print-on-demand book and an eBook. There are only 11 days left to contribute to what seems an interesting work and to get quality signed prints at a reasonable price. 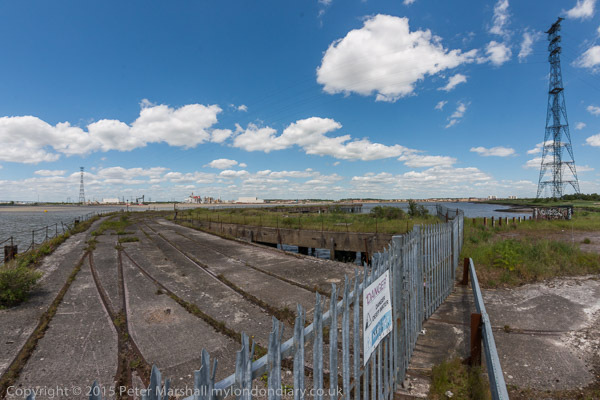 I’m still trying to take things easy, but with no great success, but I did manage to get out a few times in June to continue my work away from protests, making panoramas at Barking, Swanscombe and Robin Hood Gardens. 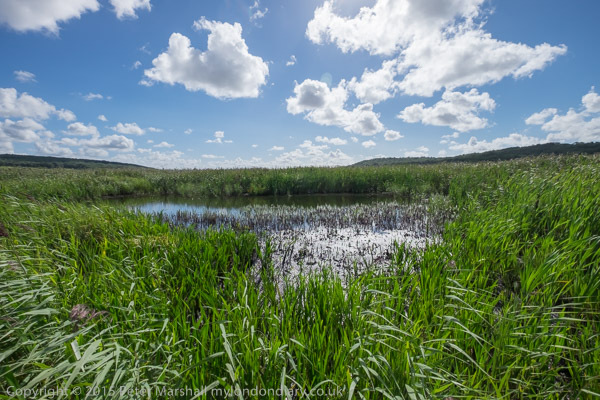 Most of these don’t immediately look like panoramas, as the images are presented in the same 3:2 format that I use for the rest of my work, but they do have a very wide – over 140 degree – angle of view. It does show that sometimes we have clear blue skies, but usually they have been more interesting. 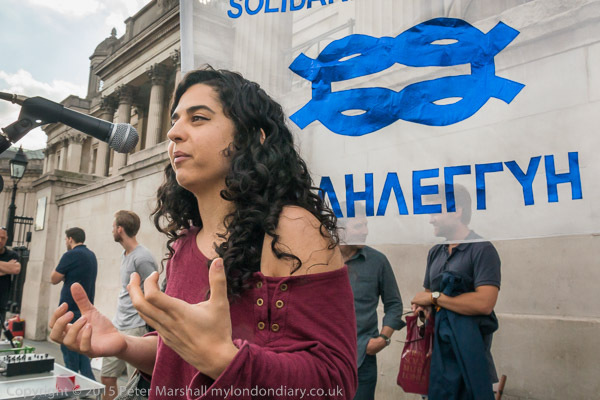 Close Yarls Wood, End Detention! I don’t look at the stats for my web sites every month, but this is the first month that I’ve noticed an average of over 10,000 page views per day for >Re:PHOTO, which now accounts for 64% of traffic to my web sites. Next largest is My London Diary, which can be reached on at least 3 URLs, mylondondiary.co.uk, mylondondiary.uk and mylondondiary.com with a total for all three of 18%. Most of the rest is for smaller sites with my work and a few which also have work by other photographers including the Urban Landscapes site. 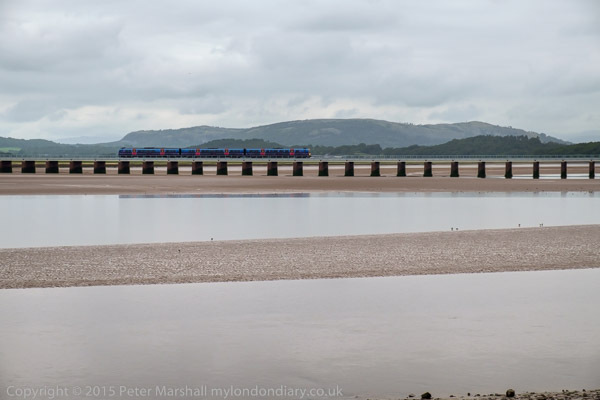 You are currently browsing the Re-photo blog archives for August, 2015.